OK, so I have officially had the BEST day ever! 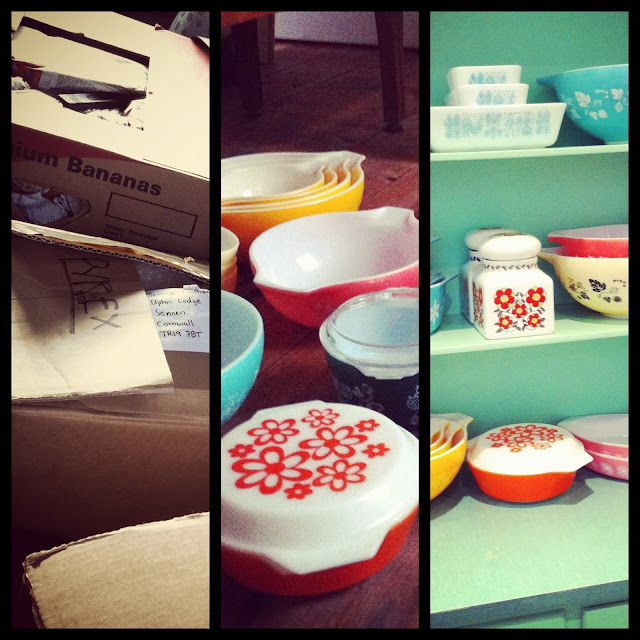 I've been busy unpacking all my beloved pyrex, enamelware and canisters. I've cleaned them, hugged them, stacked them, tidyied them, (hugged them a bit more) and after hours of deliberation, given them a special place in my 'new' kitchen cabinet. I scored this beautiful peice of furniture locally on ebay, it was in a pretty unloved state then but I gave it some tlc and a fresh lick of paint and it looks as good as new! I'm in love with the formica top, I think it makes a nice contrast to the oak worktops I have on the other side of the kitchen. What an awesome collection you have!! I'm quite envious! :) So glad you are getting all settled in! That's a great collection! And the perfect homey touch. 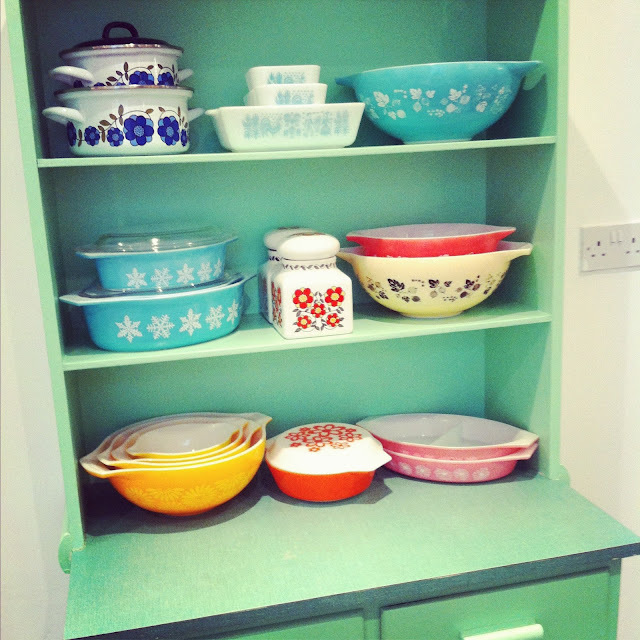 Your pyrex is darling! I love the cabinet too. What a great collection. Look like the cabinet is the perfect spot to show it off too.